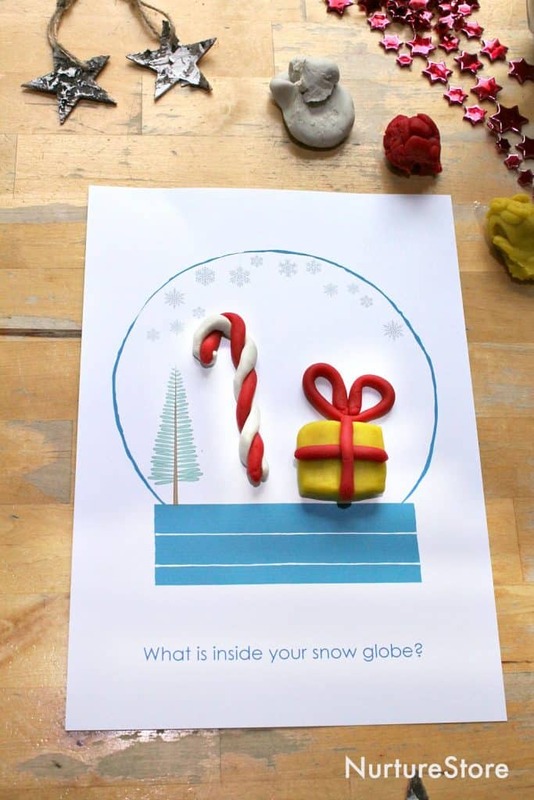 Print the snow globe play dough mat (see how below) and set it out with a section of playdough. 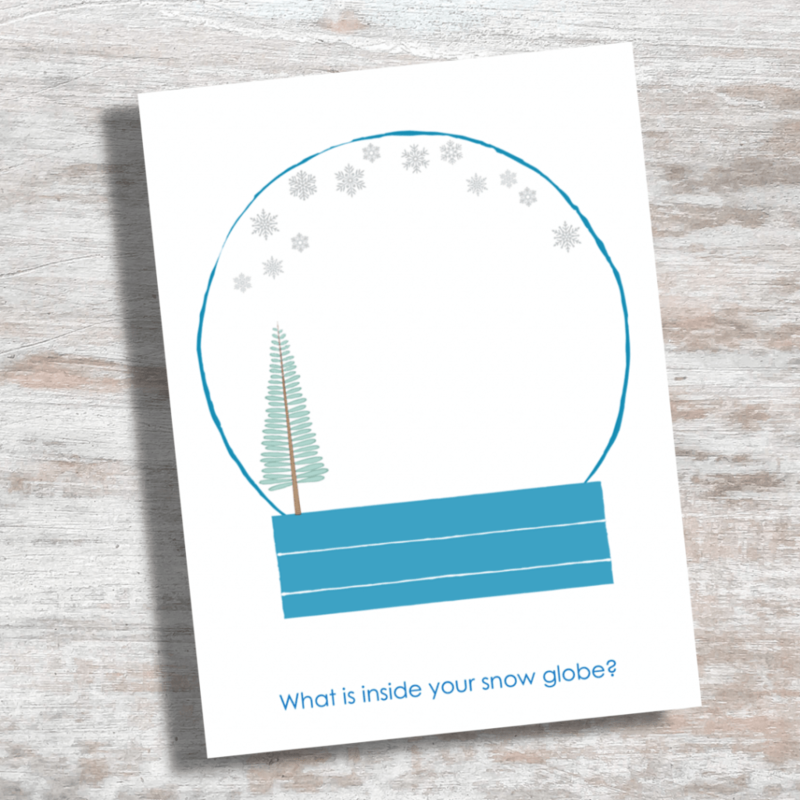 Invite your children to think about what or who they would like to see inside their snow globe. Can they make it out of play dough? 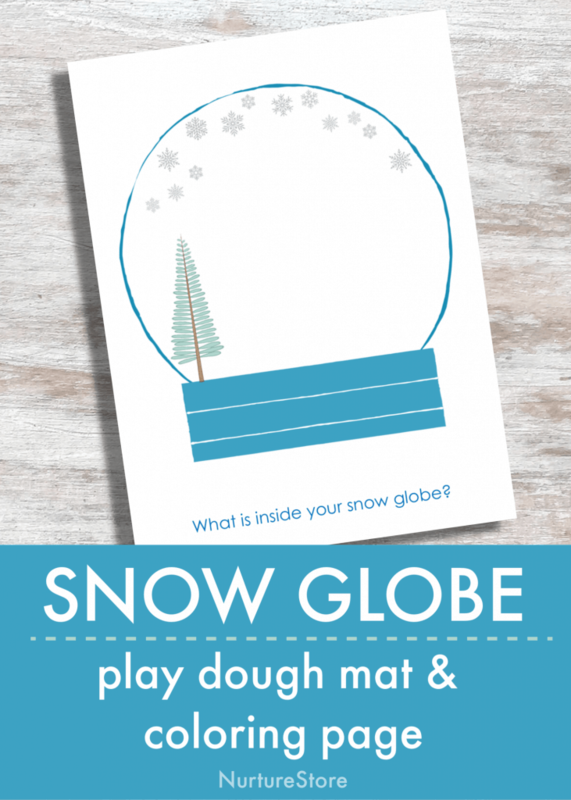 The mat is also great as a snow globe coloring page. Print out as many copies as you would like and use pens and pencils to draw in the details. 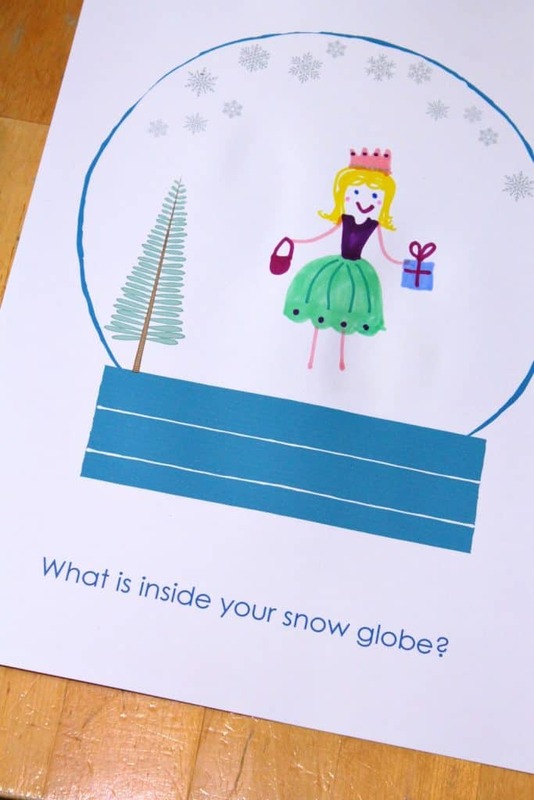 The perfect printable for a snow day!